My dad gave Creamie a Zoku popsicle maker for Christmas. And she has been begging to make them every single day. But I’m a really mean mom and if she didn’t finish the meal before she begged for popsicles I always say “Nope, because you didn’t eat your lunch, but if you eat your dinner we can make some tonight.” But every single time that has happened we have both forgotten about them, she wouldn’t eat her dinner either, or some other random lame excuse. But today was the day. She ate all her lunch, and then asked me if we could make popsicles. YES! I have been so excited to try this out too! 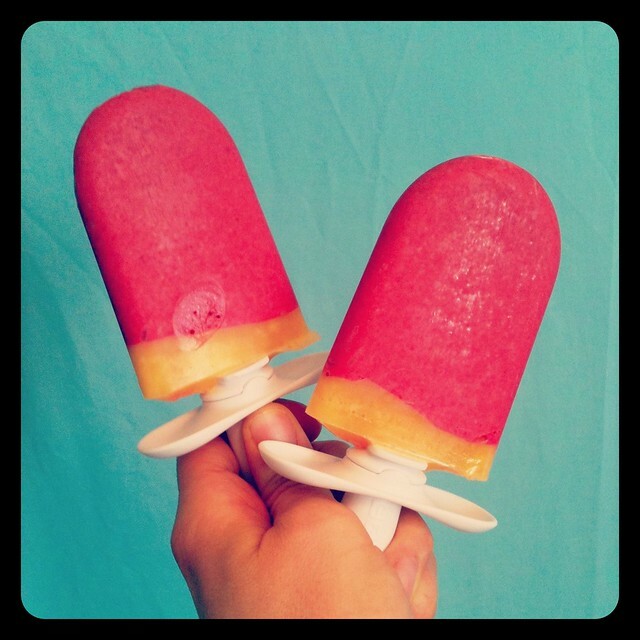 We made Raspberry Orange popsicles. And wow. So good. I am sure that I am going to start an entire pinboard just for zokupop recipes. (UPDATE: I made one.) Because I kind of want to eat them after every single meal they are that good. And since we are going on day four of over 55 degree weather (IN JANUARY!) popsicles were a great idea for today. 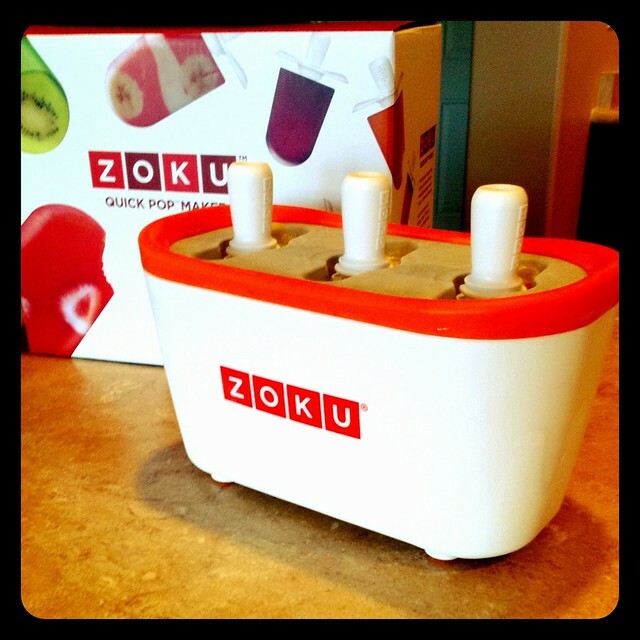 So, the Zoku maker goes in the freezer overnight, you pour in the juice/popsicle mix and then let it sit for 10 minutes and you have popsicles. Easiest thing ever. She was in heaven. Except she kept getting irritated that she was getting popsicles on her face. Thanks dad for a great present! PS. She is wearing a 6-9 month shirt and just graduated to 4T pants. She’ll be three in two weeks. I grow ’em tall and skinny ’round these parts. The popsicles look awesome. 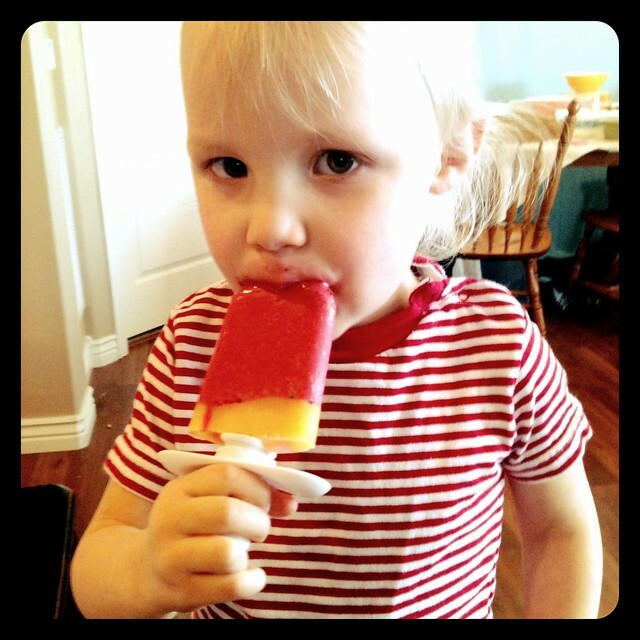 My girls love homemade popsicles, but I’ve never seen that product before. Looks pretty sweet. It’s never to cold for ice cream… That looks so yummy! I was eyeing one of these popsicle makers up for Christmas but ended up buying an ice-cream maker. This post has made me want one even more. We have one and love it! And my son is 18 and can make them himself!